Villa Pacifica was designed to be the ultimate beachfront vacation retreat for family and friends to relax while enjoying the beach, sun , fabulous activities, fine dining and each other’s company. It is a fully staffed, single-client five star luxury retreat managed by our professionally trained staff, where even the person who is most prone to be the planner in your group will have the freedom to take a well deserved vacation. 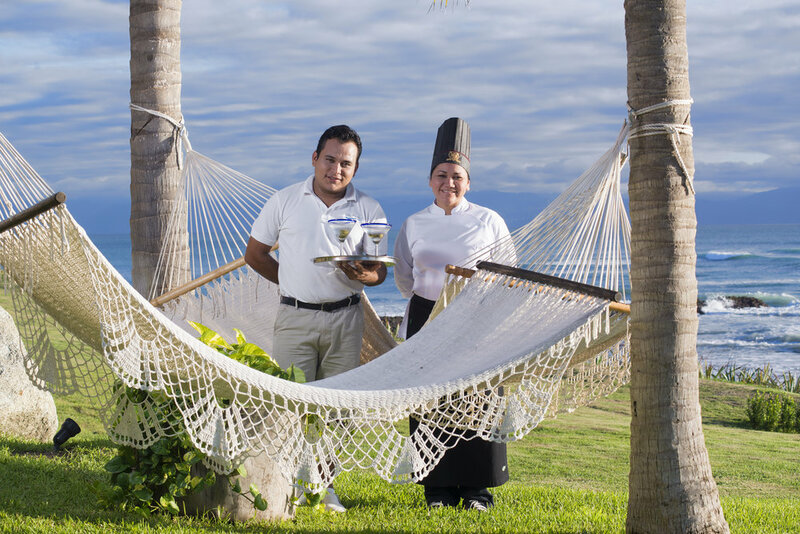 Our hope is that you will surrender to Villa Pacifica staff and let them take care of you, allowing you a brief escape from the cares of the world. Some of our staff sleeps on the premises in the staff quarters which are located on far end of the property in a separate building, they are available 24*7 for emergencies. Services included are the preparation and service of breakfast and lunch (dinner can be arranged as an additional service), pre-arrival pantry/grocery stocking, housekeeping, laundry, concierge services and a waiter available full time to bring you drinks and snacks where ever you may be.